Ride on over for a legendary experience! 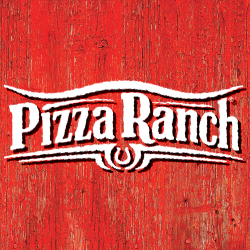 Visit Pizza Ranch to find cravable pizza, the Country’s Best Chicken®, crisp salad and veggies, and savory starters like Cheesy Ranch Stix! And don’t forget our famous Cactus Bread®! Bring the whole family and enjoy our arcade, The Corral, or host a fundraiser in our 146-seat community room. Want us to bring the food to you? Order online, and we’ll deliver right to your door! Located right on Main Street, we’re just minutes away. We support Community Impact nights for local organizations, and would love to help support yours!